As a Division I swimmer, Brian Tovin experienced the superior medical care provided to athletes. 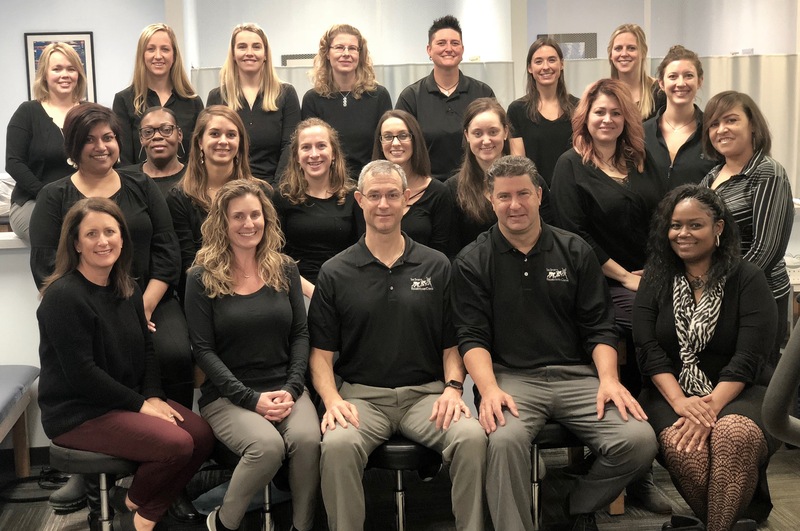 As a Physical Therapist and Athletic Trainer, Brian focused on his professional goal: to provide this level of care for all individuals with musculoskeletal injuries. To accomplish this goal, Brian earned advanced degrees in orthopaedic physical therapy and traveled the globe to learn from the best clinicians in the field. During this time, he found that most large geographic regions had an elite physical therapy clinic staffed by renowned clinicians who were experts in orthopaedic and sports physical therapy. These clinics were clearly the “go-to” place for any patient who was serious about rehabilitation. After graduate school at Emory University, Brian settled in Atlanta and continued his career as the director of rehabilitation for the Georgia Tech Athletic Association in 1991. In 1995, Brian was given the opportunity to accomplish his goal of starting an elite sports and orthopaedic sports physical therapy clinic. In collaboration with the Georgia Tech Athletic Association and the Head Athletic Trainer, he assisted in the development of a private practice that would provide treatment for the entire Georgia Tech campus and greater Atlanta community. The mission of the clinic was to provide patients a facility where expert clinicians perform the most advanced techniques with the latest, innovative equipment to facilitate rehabilitation and return patients back to their prior level of activity in the quickest and safest way possible. To fulfill this mission, Brian developed a treatment model which emphasizes one-on-one care with a physical therapist using a hands-on approach. Patients could take comfort knowing that they would be seen promptly by the same clinician each visit and would receive a rehabilitation program that was specifically designed to meet their individual needs. The Sports Rehabilitation Center quickly became known as the preferred facility for orthopaedic and sports physical therapy. To meet the growing patient demand, Brian expanded the company, opening clinics in Midtown, Buckhead/Brookhaven, Sandy Springs, and Dunwoody. Each clinic was built on the same model and is equipped with the latest state-of-the-art equipment. Additionally, The Sports Rehabilitation Center has developed programs for musculoskeletal dysfunction that go beyond sports medicine. Some of these programs include aquatic therapy, pediatric orthopaedics, women’s health (pre-natal exercise, post-partum exercises, pregnancy related low back pain, etc), and an amputee clinic. In addition, the staff offers various free seminars during the year for the following topics: a running clinic, tennis clinic, ski clinic, and women’s health clinic.